How View Through Conversions Help? Referred to as = View-through Conv. 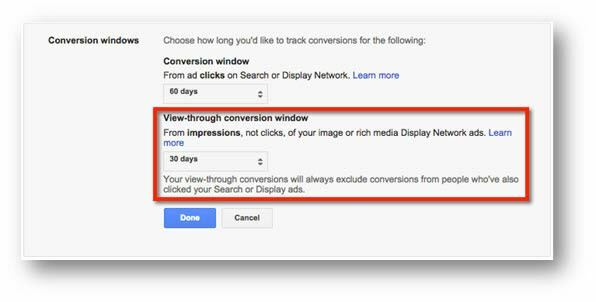 This occurs when a person sees one of your display ads (but does not click on it) and later converts on your site, a view through conversion is counted. A number between 0 & ∞ represents this. Although not a hugely valuable metric to many, this can still provide some insight into how Display advertising impacts other channels. Conversions from Display are recorded as ‘Conversions’, so this metric simply refers / alludes to the value of the branding benefits of the Display Network. It’s hard to conclude to any degree of certainty what impact a campaign has had with this metric alone. Turning off display advertising and measuring the impact this has on conversions from other channels; then turning Display back on and comparing data will provide a more detailed insight into the relationship between branding and conversions from other channels. The biggest problem is; did the view contribute to brand or product awareness enough (or at all) to actually assist in the resulting conversion. It is entirely possible that the person was already searching and reading content, and by coincidence converted on your site, without having noticed the ad. From here you cans set the ‘view through conversion window’. 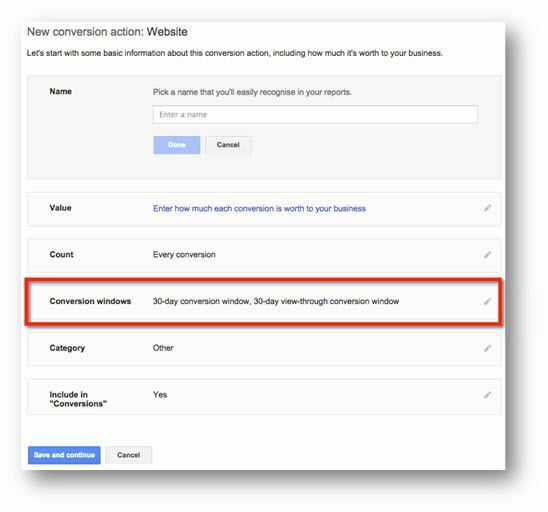 You are not able to segment View Through Conversions by the day or time that these occurred. This was an option some time ago but has since been removed by Google and de-duplication is now enabled by default. 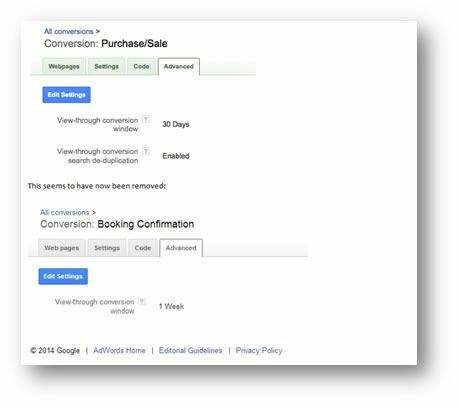 Previously, you could disable this feature and thus could duplicate conversions. Display campaigns often have lower conversion rates or can be used for branding purposes; this metric enables you to attribute some additional value to these campaigns. This is especially relevant on branding campaigns or campaigns with low volumes of conversions.